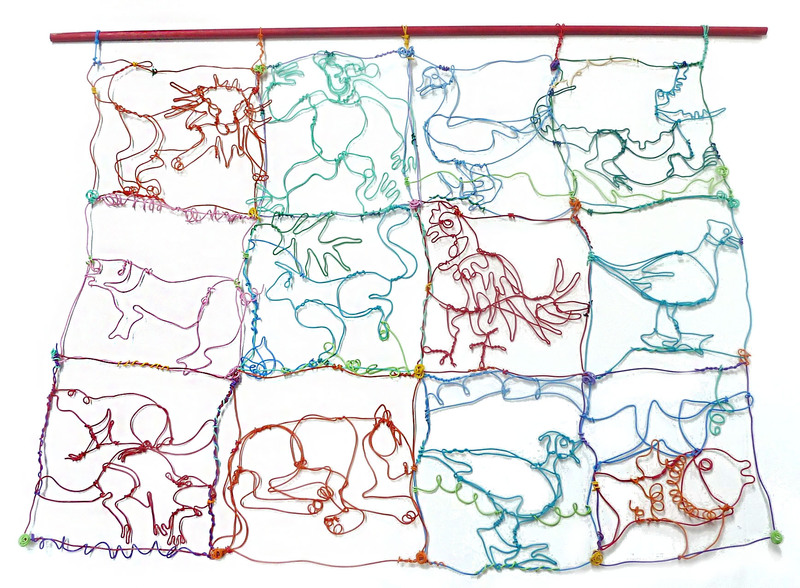 Wire quilts make a great class project. They are exercises in collaboration. Choose a theme or just have fun with abstract designs. 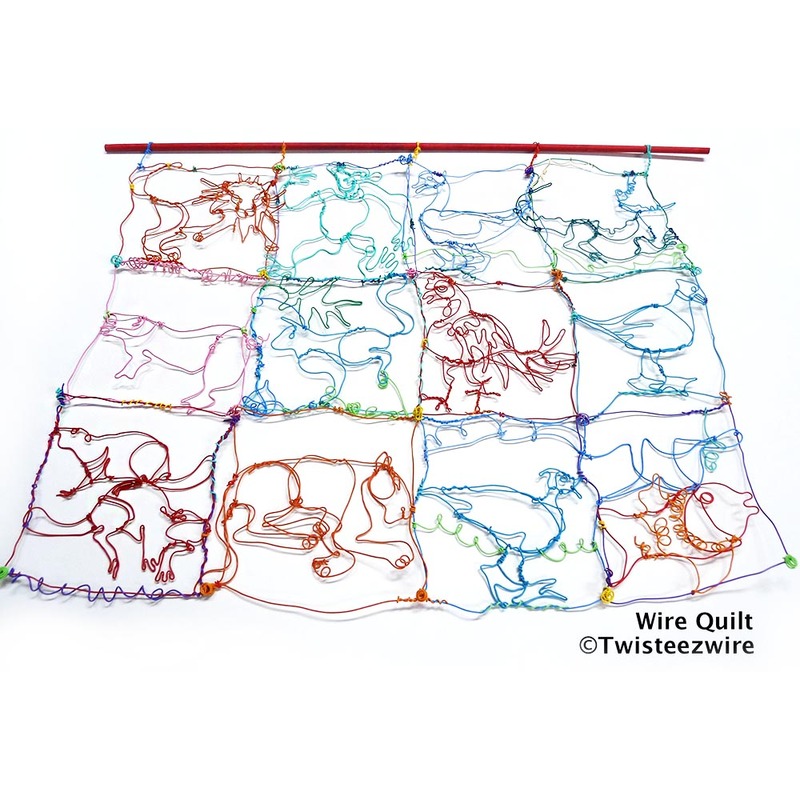 See our process as we made a wire quilt with an animal theme. 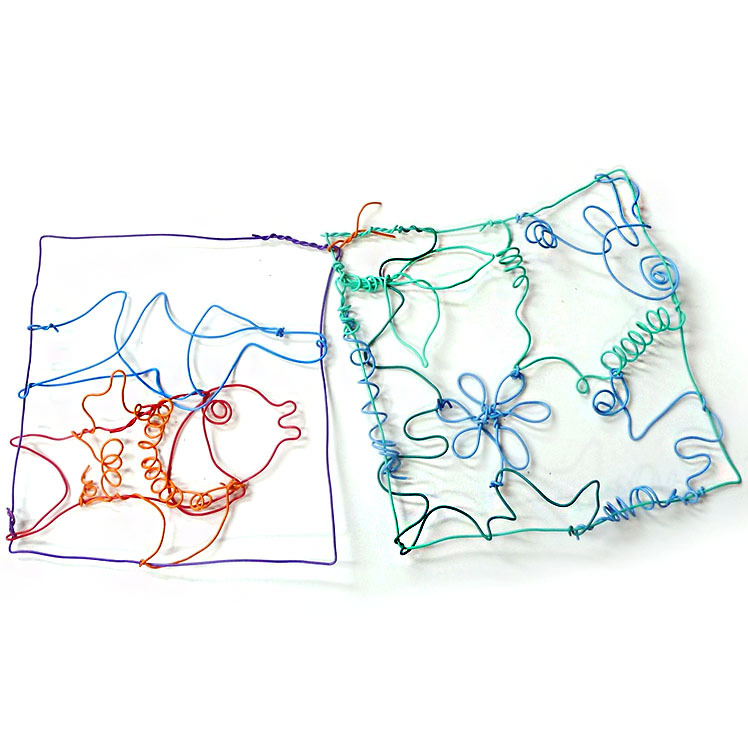 Wire quilts also cast beautiful linear shadows. 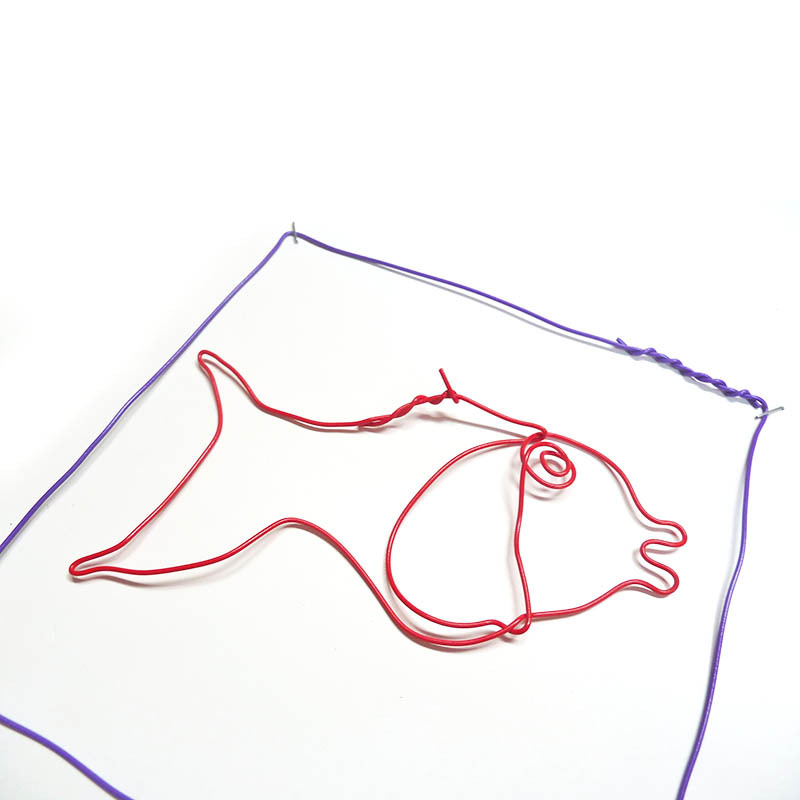 1) Start by making a loop with just one Twisteezwire. 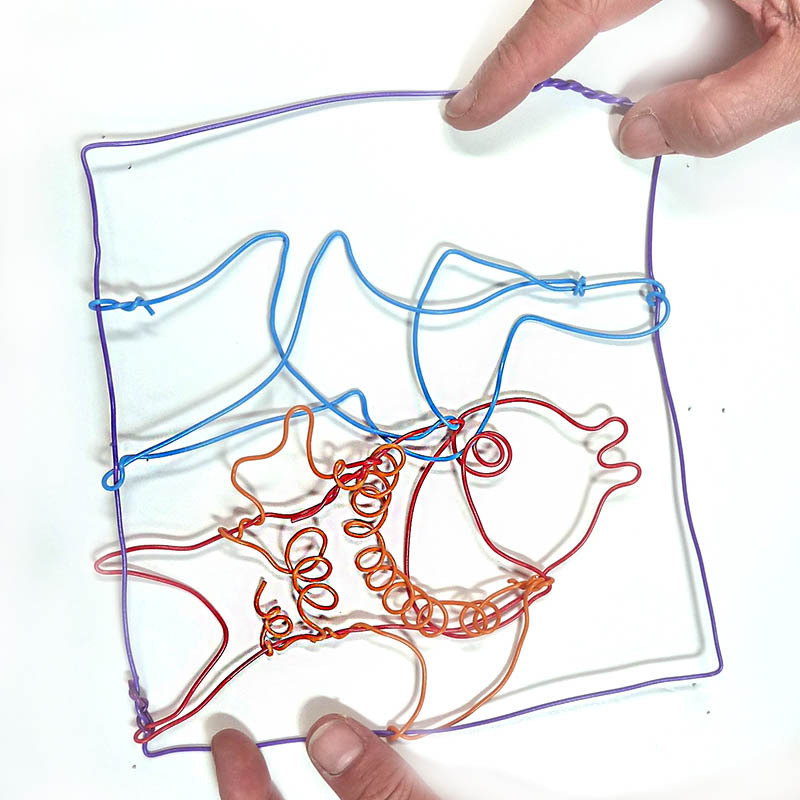 Overlap the ends and twist them together Be sure overlap length is the same for each loop so each square is the same size…Apprx. 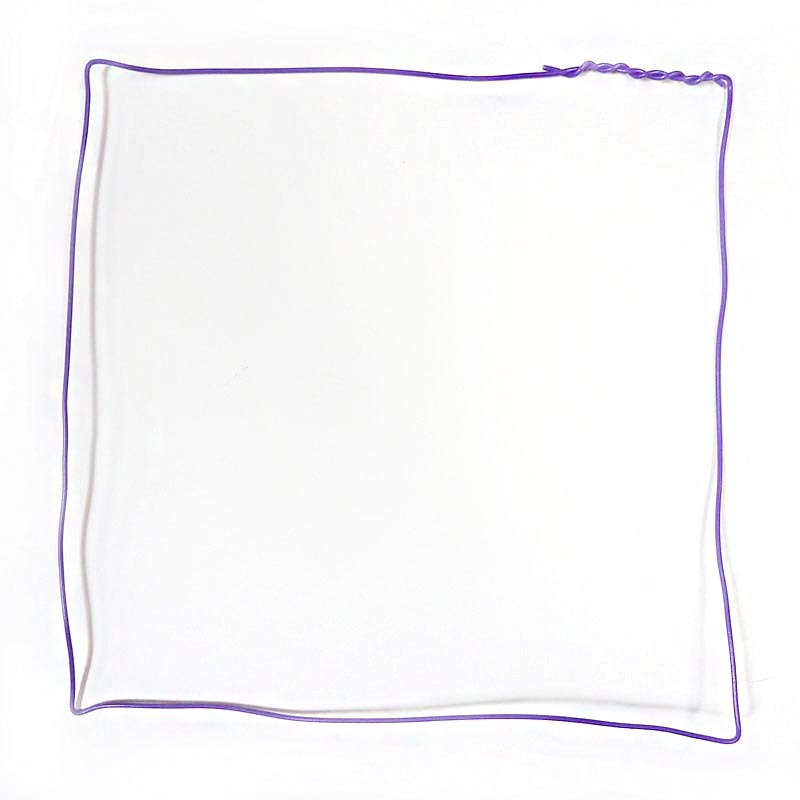 7″ x 7″ squares. 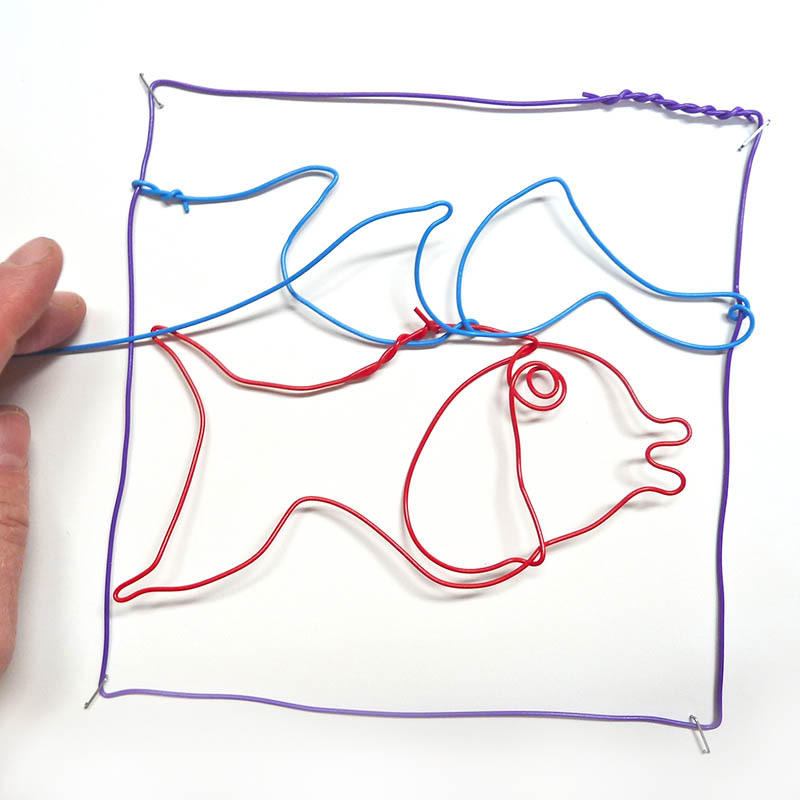 2) Fold loop in half twice. 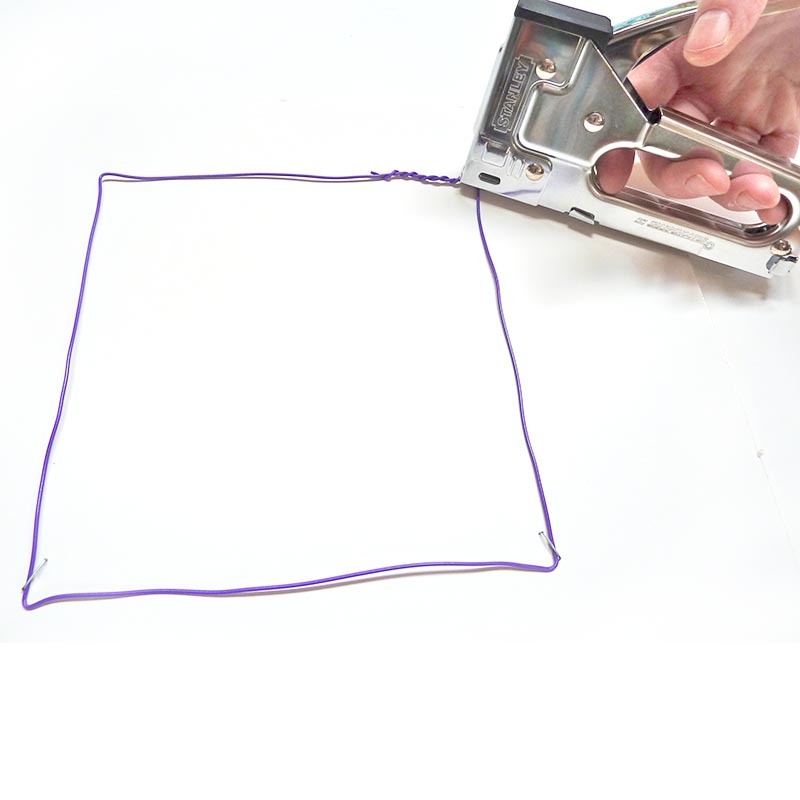 3) Open loop to form square. Staple in place on cardboard. 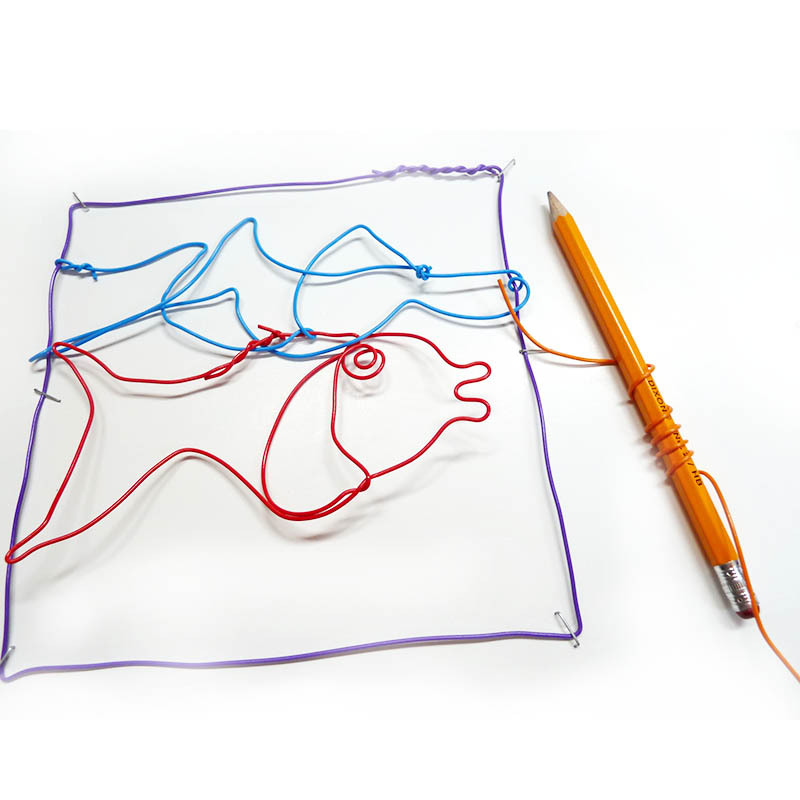 4) Create Twisteezwire design with other wires to fit in square. 5) Wrap or use small pieces of twisteezwire to secure design to square. 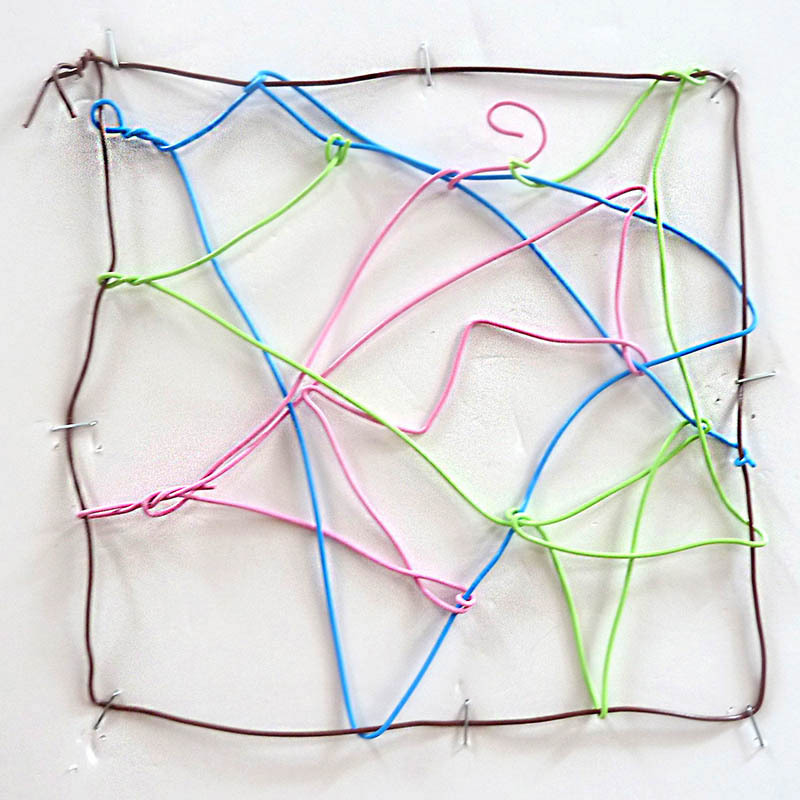 7) Attach squares together using shorter 3”-4”pieces Twisteezwire. 8) Hang quilt from dowel to display. 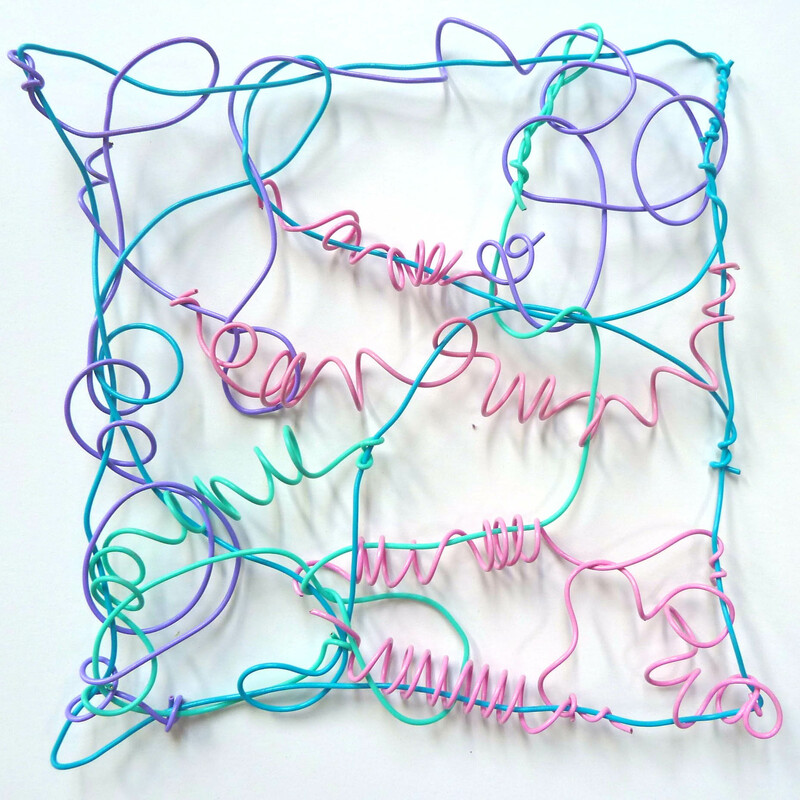 Samples of abstract designs made within wire squares.